Debt Management; What’s Your Workout Plan? Debt management is critical to business cash flow and success. Long term, short term, accounts payable, capital leases, and any number of other liabilities can overwhelm a business owner. While debt is reported as a “Liability” on your balance sheet, it’s part of the Capitalization of your company, similar to “Equity”; except that you owe someone. In most cases, bank notes, lines of credit, and in some instances vendor accounts must be “guaranteed” by the business owner; personally. In their enthusiasm and optimism, many business owners casually “sign off” guaranteeing the debt of their corporation; and that can lead to disaster. Most traditional banks will not loan a small business money without the personal guarantee of it’s owners. So you will be guaranteeing corporate debt if you need a bank loan. Just make sure you understand the impact such guarantees have on you, if your business gets into financial trouble. The bank does not have to sue the business first, they can take action against any guarantor in the event of default. A company should only borrow as much money as it can legitimately pay back out of existing revenue/profit. If the debt is personally guaranteed, then only as much as the guarantor can pay if there is no income from the business. You should read that answer more than once. Read it again NOW. That’s right, if the business fails, you better have a means of paying the bank. The bank will foreclose and take every asset on its mortgage, and they will not even blink an eye in doing so. Loans related to equipment and or buildings are generally easier to evaluate. If the equipment improves production or if the building reduces rent charges, well that’s almost a “No-Brainer”; as long as you can pay for it out of existing profits. If you’re buying more equipment than you need thinking that the equipment will allow you to do more business, you better think again. Same with a building, if you’re buying space to meet future growth, make sure current revenue supports the acquisition. All of which means, you better understand the financial performance of your business. You better have a very good understanding of your company’s future revenue/expenses. And you better have a definitive plan to achieve that growth. The concept of “Build it and they will come” is a crock, don’t buy into that philosophy. When your competitor “Builds” his new innovation, they will leave you and go to him. Credit lines can be a business owners Salvation or Nightmare. A credit line should be used to fund the ebb and tide of cash flow requirements. Many business owners mistakenly use their credit lines to fund equipment needs and items unrelated to cash flow. From a banks view, they understand the credit line concept. They expect the line to be used, then paid down, then used again. At loan renewal bank analysts will look at how the line was used and if they see no pay downs often times problems with your banking relationship will develop. If you need to borrow for other items don’t use your credit line, get a new loan. While cumbersome, maintaining strict discipline on the use of the credit line will pay off huge rewards. Accounts payable seems like a simple concept. 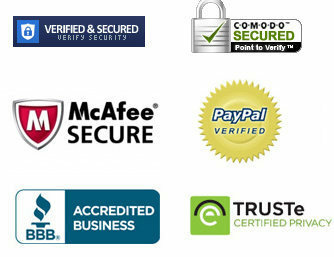 Vendors extend credit, you buy, you sell, you pay. Then why are your payables growing? Many companies with cash flow issues will use their vendors monies to fund cash flow shortage; this accomplished by not paying on time. And that takes us back to the credit line. In the long run, you’re much better off having a credit line rather than leaning on your vendors. At some point, if you lean too hard, you’ll get cut off by a needed supplier. With a credit line in place, you can pay the interest cost of that line by negotiating terms with your vendors. For instance, if you get 2%/10 days/net 30 terms, use the credit line to take the 2% discount, that equals 24% interest per year; your bank interest rate is going to be much less than that and you’re vendor is going to be very happy. If your company is profitable, this will work well. If your sales are on the decline, be careful. When sales are declining, your future revenue stream is being reduced. If you use your credit line to fund payables, and the revenue falls off, you may find yourself paying only interest on the credit line and then the balance grows. The key to managing this potential hurdle is to adjust purchases, inventory, and or production to the declining sales. If you’re struggling to pay down the credit line, you most likely have a profit problem. Investigate, figure it out, then solve the problem. If your business cannot meet its debt obligations, it is imperative that you develop a “work out” plan. That plan can be strictly internal involving a reduction in expenses, layoffs, or reductions in salaries. And don’t forget inventory reductions. Inventory adjustments can be an immediate source of cash. Assuming that you are maintaining inventory for last year sales and those sales fall off by 20%, reduce your inventory levels. In 30 days, the amount of the reduction in inventory will be in your bank account, plus the profit from those sales. If that isn’t enough, then you MUST develop a solution and have the cooperation of the people to whom you owe the money. And telling someone you can’t pay them must be handled very carefully. If you’re in this situation, first take a serious look at all your debt and consider a consolidation loan with an amortization that allows you to pay on time. Most bank loan officers will understand the concept and they deal with it daily. First, you must explain to them how you got into your current situation and how a consolidation will resolve the problem. They will not be interested in hearing how you need more equipment or more cash to pay vendors. They want to see how a consolidation loan will make it easier for you to pay them back and keep your business profitable. Of course such a loan request has an inherent risk: you’re admitting to the bank that the original basis upon which you made the loan was either flawed or you are a poor manager. You must be able to satisfy the loan officer as to the viability of your new business strategy. If you’re up-side-down with your vendors, you might want to evaluate how important each of them are to the success of your business. Those that are critical must be handled first. Those vendors must be paid on time. If your payment history is good with them, you might be able to negotiate extended terms for a short period; but you’ll have to explain why you need more time to pay them. Most vendors view the 30 days to pay as how long it takes you to get paid by your customers. If you can demonstrate to them that your customers or a specific project will take longer and you have been paying on time, you might be successful in getting more time to pay your bills. For instance, asking for 45 or 60 days to pay and showing your vendor how long it takes you to deliver your product and then get paid, reassures the vendor and builds their confidence in you. On the other hand, if you can’t pay your vendors, you better be prepared to get cut off on credit terms, have your company credit history destroyed, and perhaps be sued; even personally. How you communicate and what you tell them can hurt you or help you. Talking to Vendors — First rule: BE HONEST. If you can’t pay them in full, tell them what you can pay and when you can pay; and make sure that happens. And tell them why. Almost every small business will have financial struggles, just like you work with your customers, your vendors will want to work with you; your business makes up a part of their profit. When you get behind on vendor payments, expect to first be placed on COD. Often, vendors will continue to sell to your company COD as long as you’re paying something towards the amounts you owe. Of course paying COD when you had 30 days of credit just adds to your cash flow burden. Now you’ve got to fund the cost of carrying your customers credit and pay in advance for your purchases; a double whammy. And don’t use your credit card to pay off payable balances. That is disaster lurking in the bushes. The interest rate is high, you’ll soon reach your limits, and you haven’t addressed the primary root problem. So what do you do? Deal with it. You’ve got to closely examine every expenditure and purchase. You’ve got to reduce overhead. You’ve got to cut out all unnecessary spending. You’ve got to have a plan. Unfortunately, each situation is different and there is no 1-2-3 plan to success. One thing is for sure, if you can’t get needed supplies to maintain sales, the problem will get worst. The essence of cash flow management is keeping a watchful eye on the cash. Know what you’re buying, know when you have to pay for it, and make sure you can perform. While this over simplistic view is valid, you may not be able to do it. Then the tough decisions hit the table: who gets paid and who doesn’t get paid. And of course, who is going to sue me and how will my business survive the onslaught of creditor demands, inability to get materials, and lawyers. And there is one more side effect of not paying your bills. Your employees will soon know all about it. Of course they won’t know what you’re doing to mitigate the problem, but they will quickly figure out that the company is in trouble. So you have to manage your communications to your employees too. You must keep them reassured that their jobs are not in jeopardy. They must have confidence that their paychecks will not bounce. Their career is at stake and if they think their future is in jeopardy they will seek a new job. And the worst part of this problem is that the smarter and brighter employees who are probably the most valuable will be the first ones to leave. Because they are smarter and brighter, if you don’t convince them that the company’s future is secure, as is their career, they will evaluate their situation and take steps necessary to protect themselves and their family. Communicating to the employees is probably more delicate than dealing with your bank loan officer or your vendors. The employees are in the middle of your business. They know whether sales are up or down. They know how much cash is the bank account. That’s right, employees are information thieves. They’ll read the correspondence on your desk upside down while talking to you. They’ll read the messages left on the message pads. Once on guard, your employees will look at every little detail of info they can find for signs of the future. Of course they’ll take it out of context, interpret it in the worst way, and their morale will seriously deteriorate. Yes, employee communication in a time of financial stress is just one more level of management that must be considered. The Ultimate Solution is to not let your company get into financial stress. Easier said than done. Business owners are constantly dealing with problems; personnel, customer service, and sales. It’s really easy to forget about Debt Management until it becomes a problem; then you’re really in a bind. So pay close attention to every financial detail. Anticipate cash flow shortages, have credit facilities in place to handle those ebbs and tides. Pay attention to sales trends. Pay attention to inventory levels; which can be converted to cash. And give every purchase decision serious consideration. In hindsight, most financial problems can be traced back to a single management decision; like the purchase equipment or a new building. Those types of decisions add to your company overhead and require increased sales that can be sustained over the long term. If you’re sales spike in a year, before you go invest in more infra-structure, review the reason for the sales increase. Evaluate the likelihood of continued growth, and plan for a flattening or downturn in sales. Leveraging anticipated sales growth to justify increased overhead more often than not leads to financial instability. 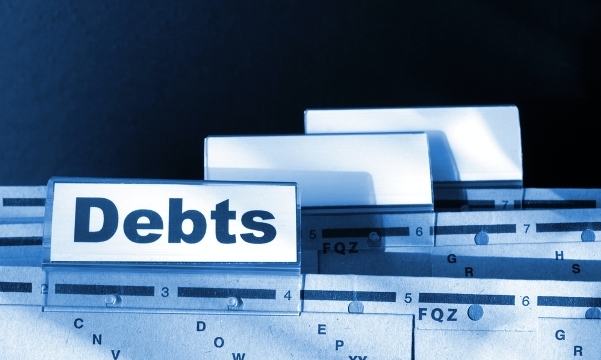 Debt Management is often an overlooked aspect of Executive Management. It’s a management function that is difficult to deal once it becomes problematic. Debt Management is the life blood of any company and should be given the highest priority. Once out of control, unmanageable debt can collapse your company. We have helped lots of companies navigate the troubled waters. We have discovered a common denominator amongst business owners faced with serious financial problems. We call it “Financial Stress Paralysis”. Faced with overwhelming demands on cash and limited resources, we’ve seen highly successful and effective managers “Freeze” and just let the problems build. Don’t be the next victim of Financial Stress Paralysis. Give us a call. Talk to us about your situation. Tell us your story. We’re here to listen. And we’ll help you chart a course to safe harbor. You’ve got nothing to lose, except your business. We Love Talking To Business Owners And Discussing Your Goals. Give Us A Call Today And Learn How We Can Help.